While having to battle life threatening diseases like COPD and Asthma we always need to be prepared and that preparation includes many, many items of information to help our battles be successful. Those of us with Wheezingaway.com, COPD Travels and CrossDove Writer continually and dutifully work toward helping raise awareness among others about these two diseases of COPD and Asthma because “without breath we are without life itself”. 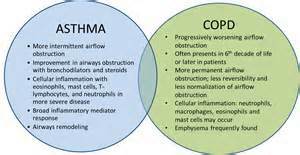 Those with COPD and/or Asthma have the duty to learn and know the language of these dreadful lung diseases. With that idea we discuss some of what we call ‘must know words’ of life with COPD/Asthma – and today we discuss ‘Irritants ’. ‘Irritants’ are those substances which can and will cause irritation to the airways of those with COPD/Asthma, as those of us with either of these diseases know. When ‘Irritants’ begin to agitate the airways they will cause swelling and force an increase in mucous production, which in turn can cause responses like coughing, sneezing and wheezing. While each individual will have their own list of ‘Irritants’ that may cause triggers of breathing problems, causes like smoke, smog, aerosol sprays, perfume/colognes and fumes from exhausts or cook fryers would be considered some of the worst. In your own individual battles with COPD and/or Asthma be sure to know, learn and understand those ‘Irritants’ which will cause your battles to happen and then you can battle them from knowledge and not just the hope of that setting off those triggers caused by your personal list of ‘Irritants’. Remember always that without breathing a person is without life itself. Now I bid to all – smiles, prayers, blessings and steady breathing – Mr. William.